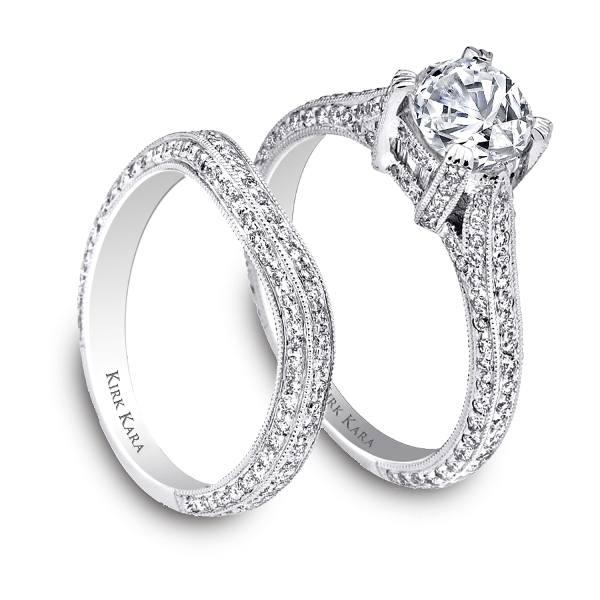 Platinum Diamond Engagement Ring and Matching Band. Engagement ring has 0.58 ct.diamonds, all micro-paved with small baguettes in the gallery. Center diamond is not included.